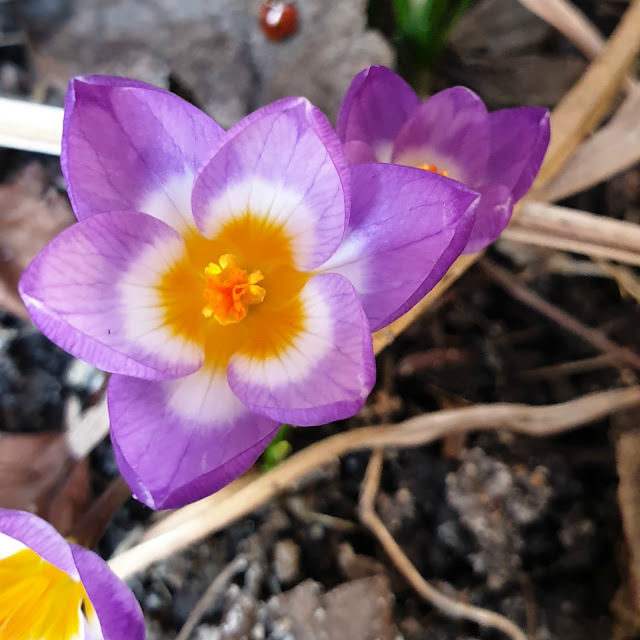 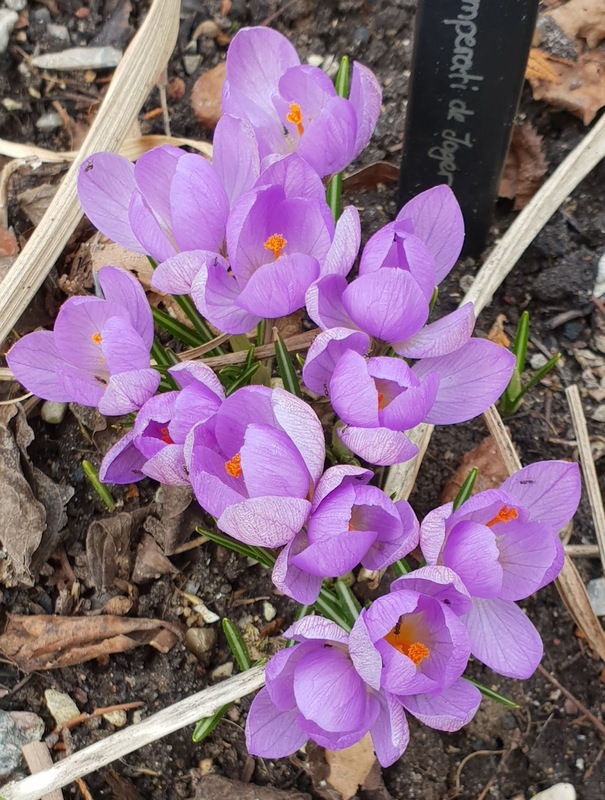 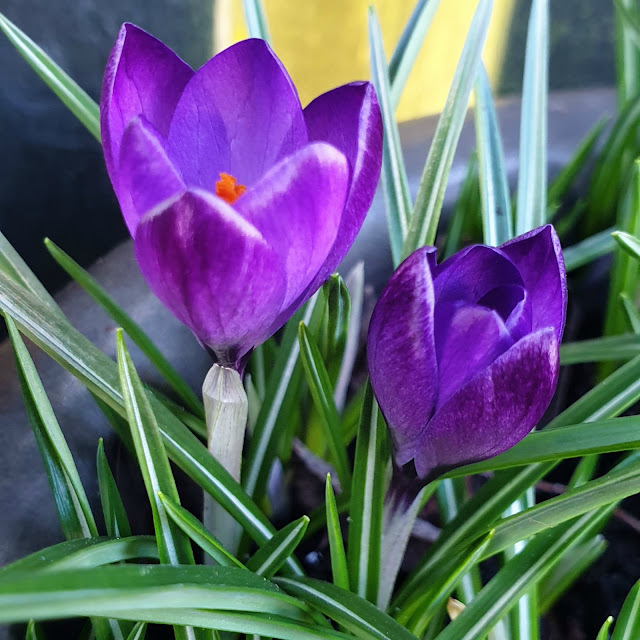 Da krokus er min absolutte yndlings-løg/knoldplante, har jeg endelig fået lavet en liste over de krokus jeg har i min have. 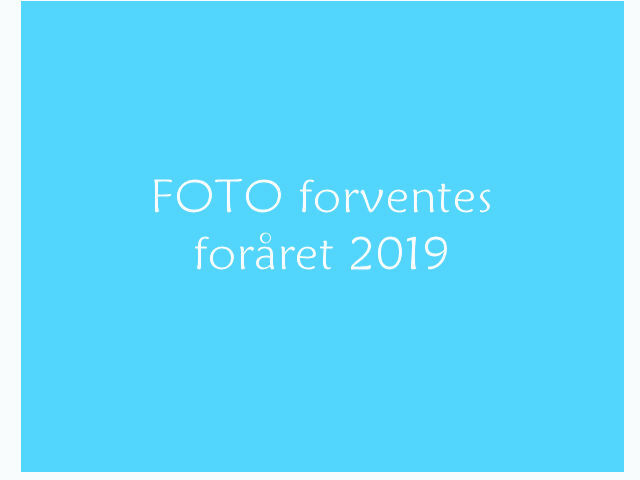 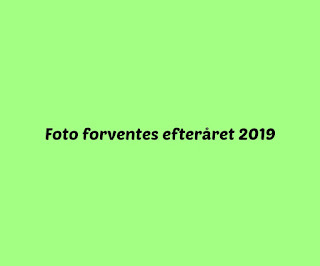 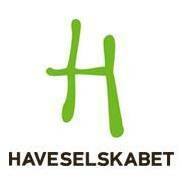 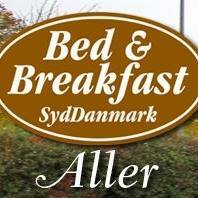 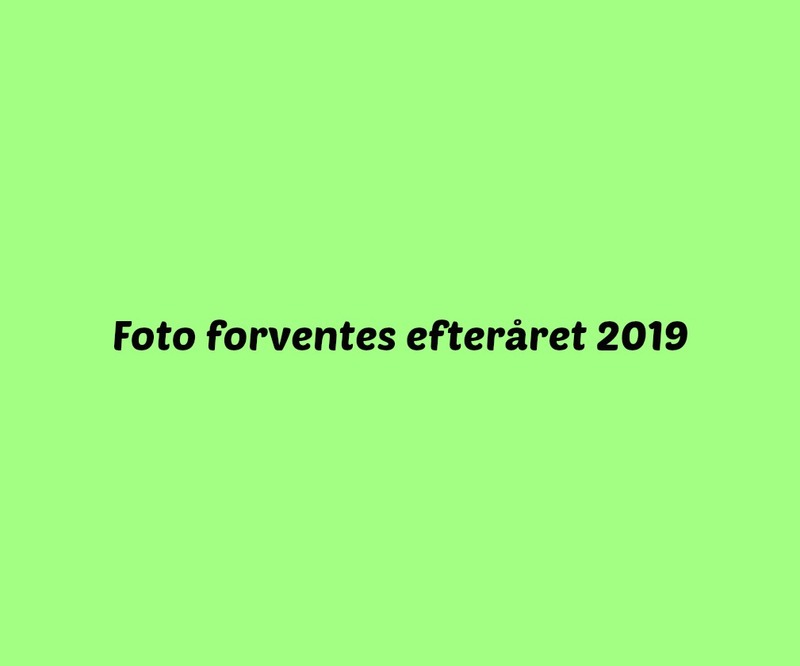 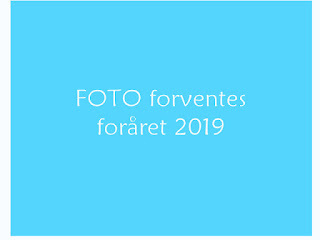 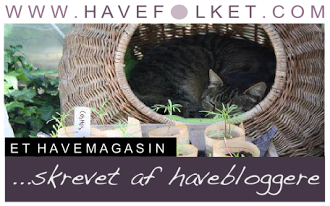 Årstallet i parentes fortæller, hvornår jeg har anskaffet den første gang. 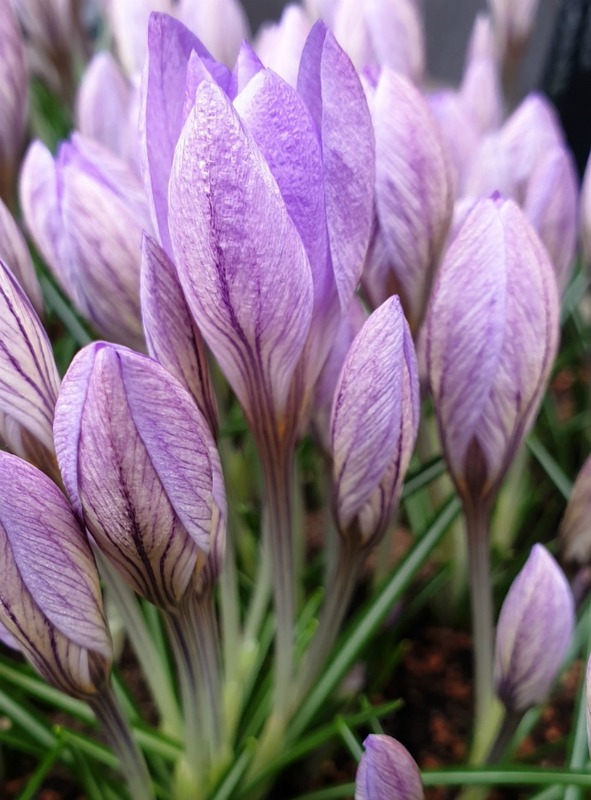 This species is the toughest crocus of all and is available nearly everywhere. It is available in a rainbow of colors, often marked with contrasting streaks or blotches. 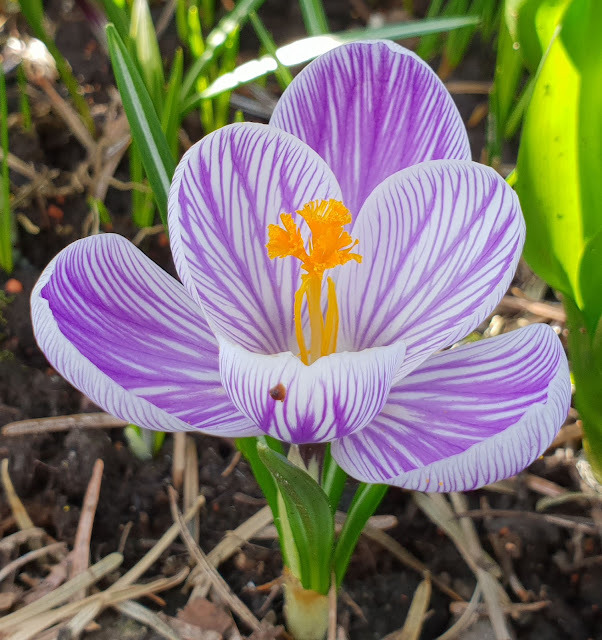 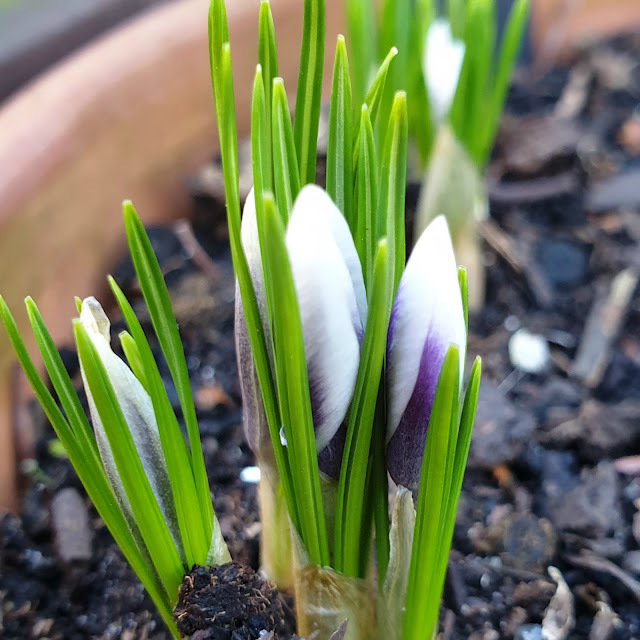 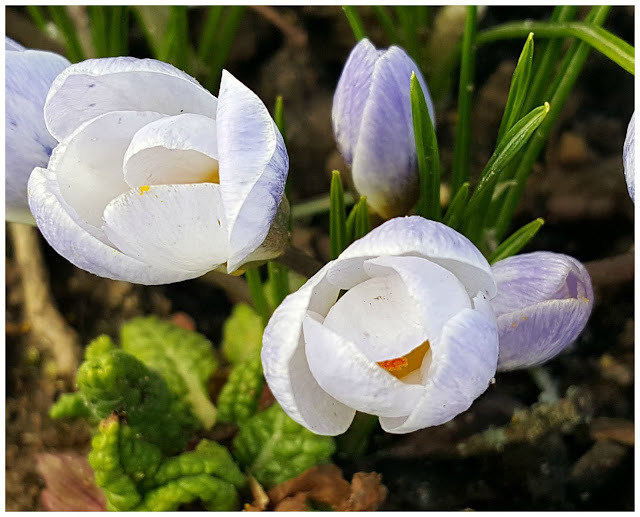 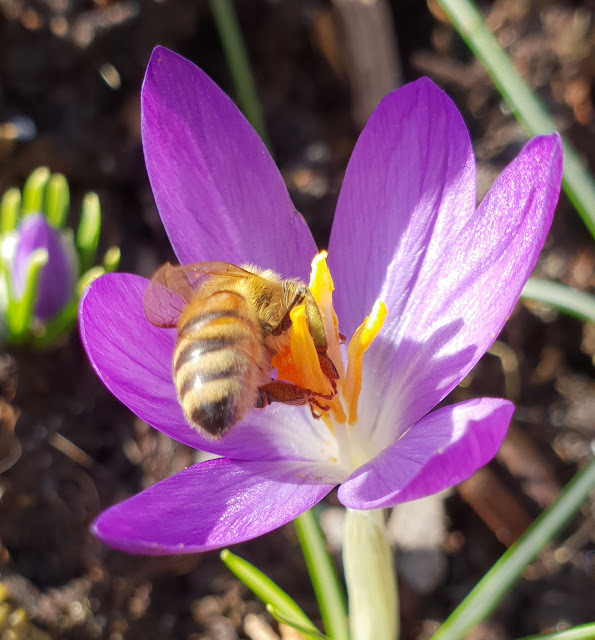 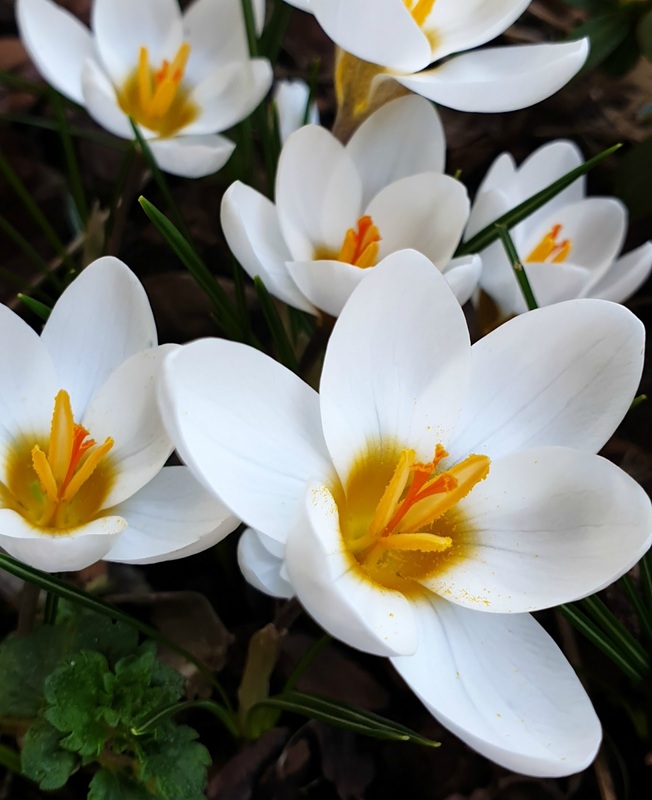 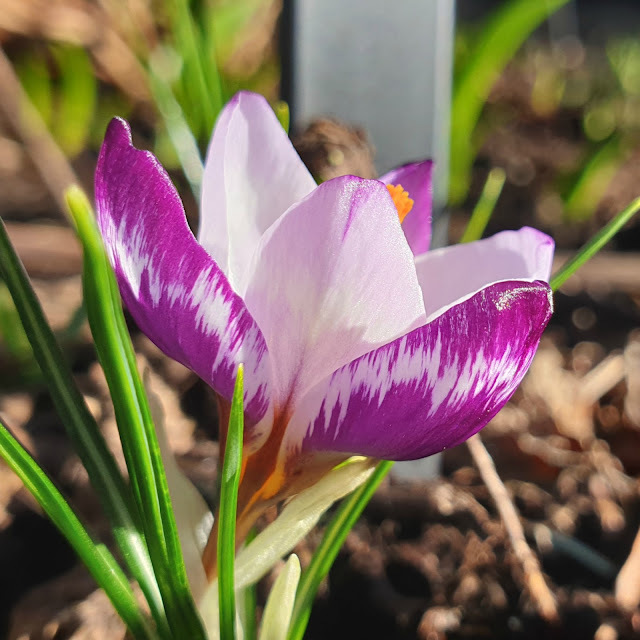 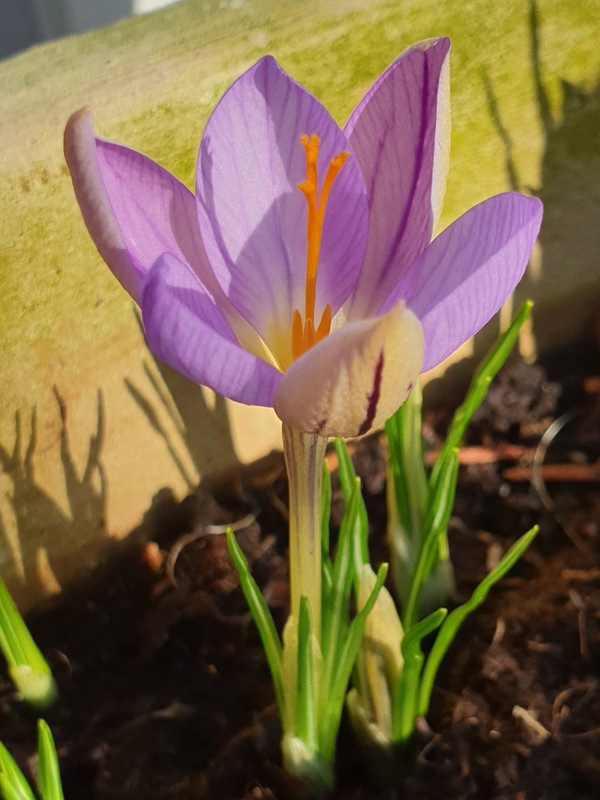 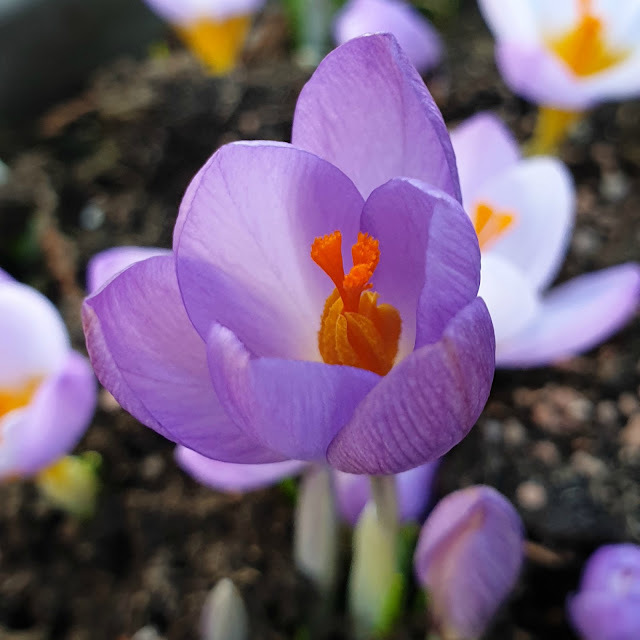 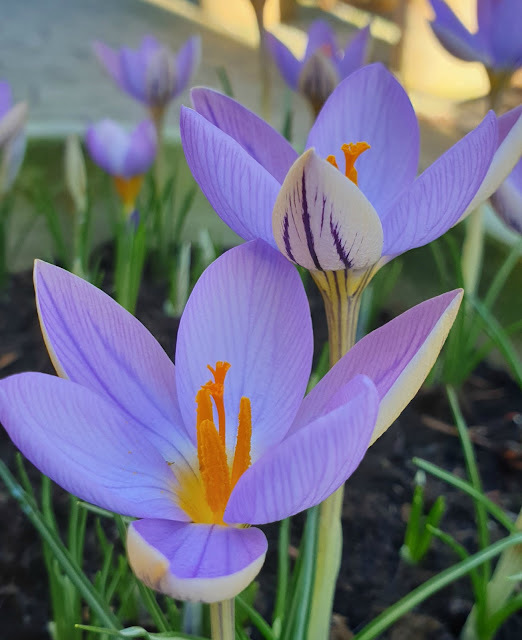 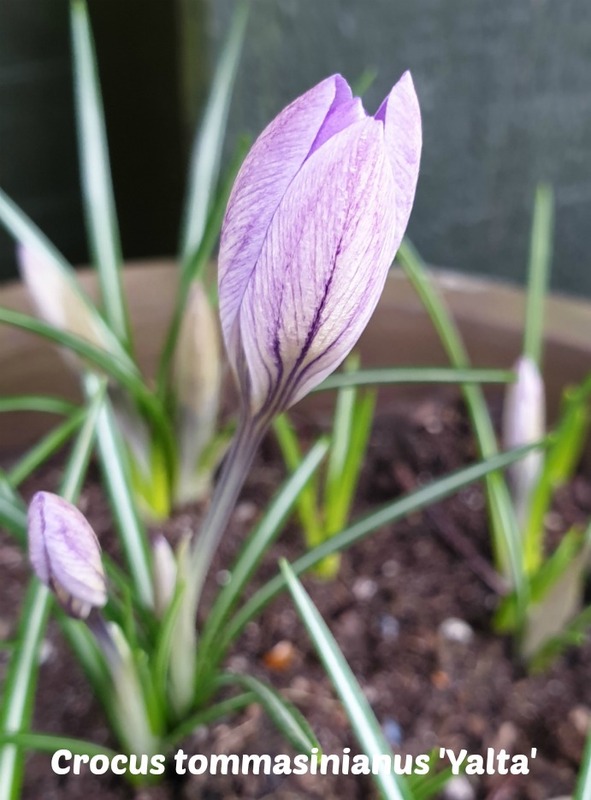 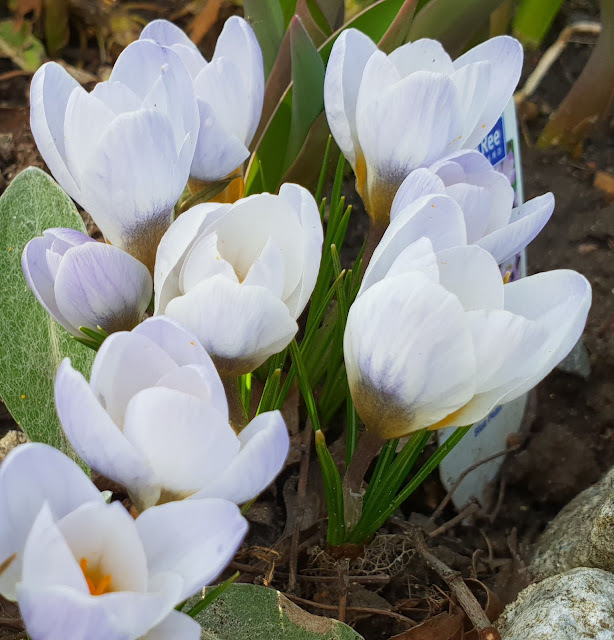 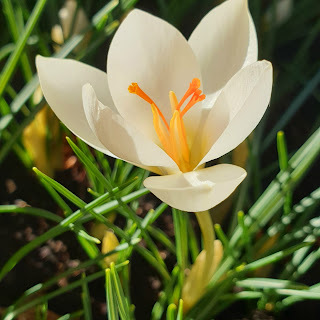 Scottish Crocus (C. bifloris), is a showy white flower with purple striped petals and yellow throats. 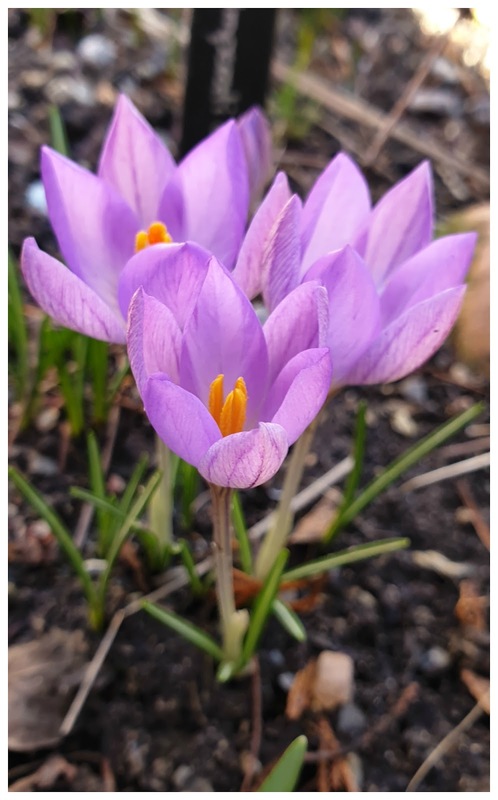 Read the label carefully; some forms Scottish Crocus forms bloom in autumn. 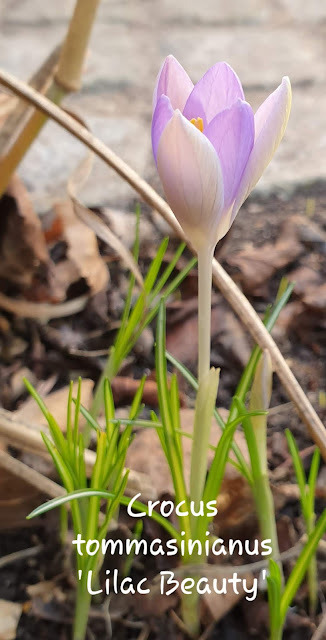 Early Crocus (C. tommasinianus). 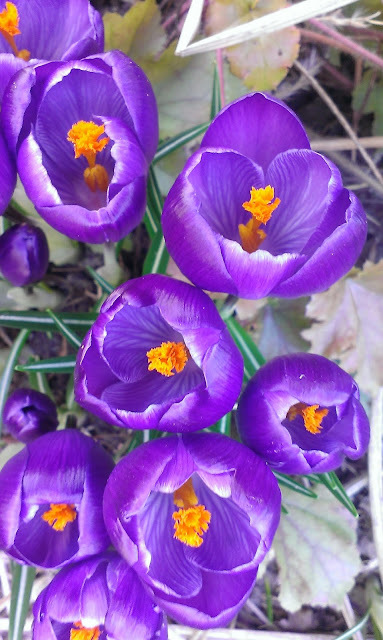 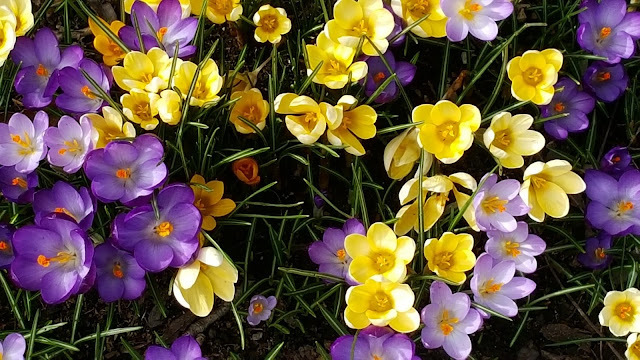 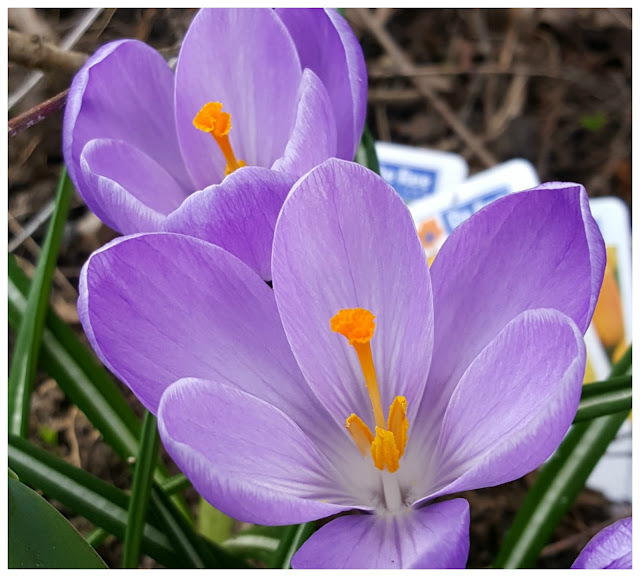 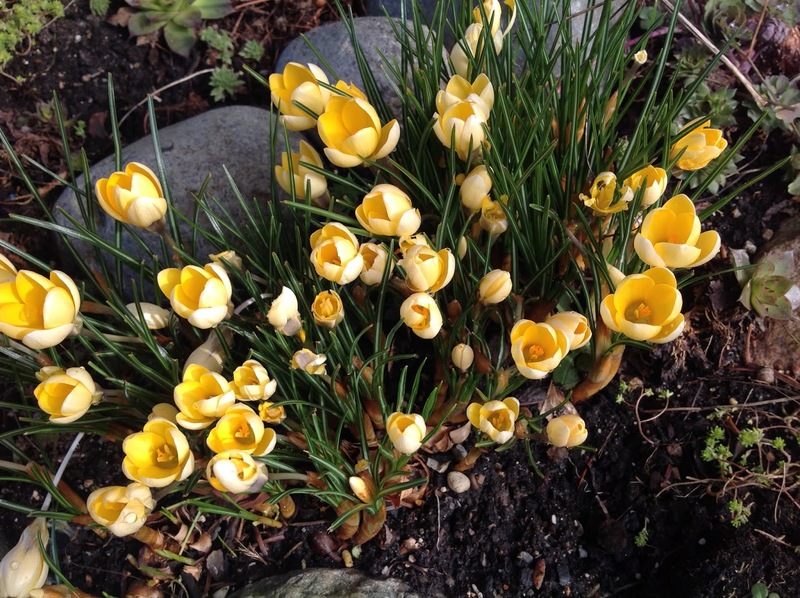 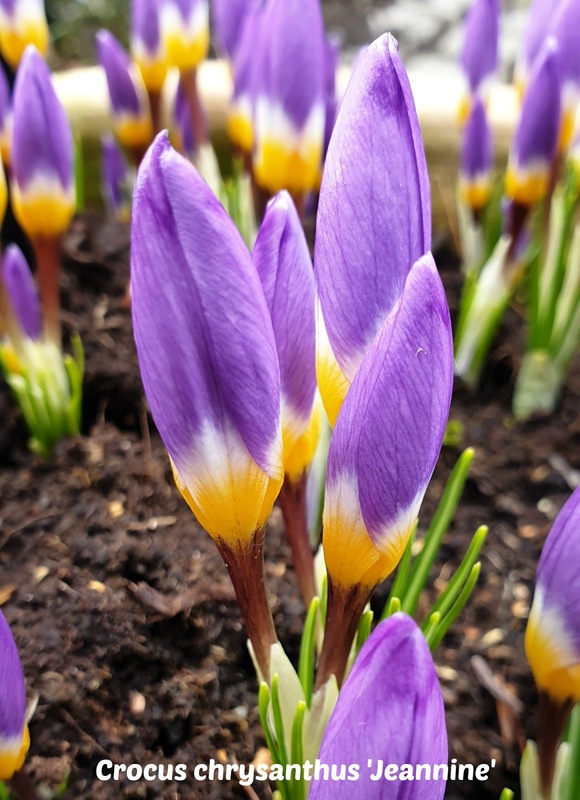 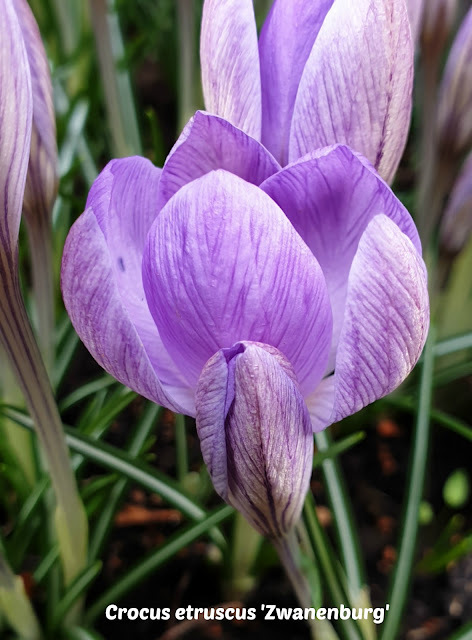 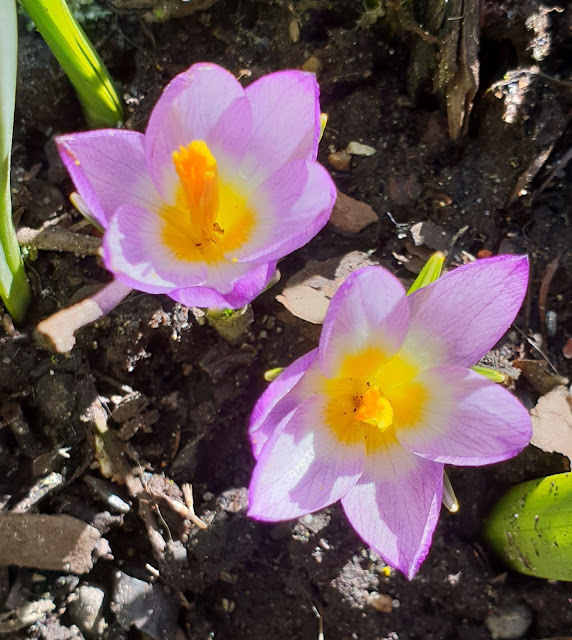 For color soon after the first of each year, consider this crocus species. 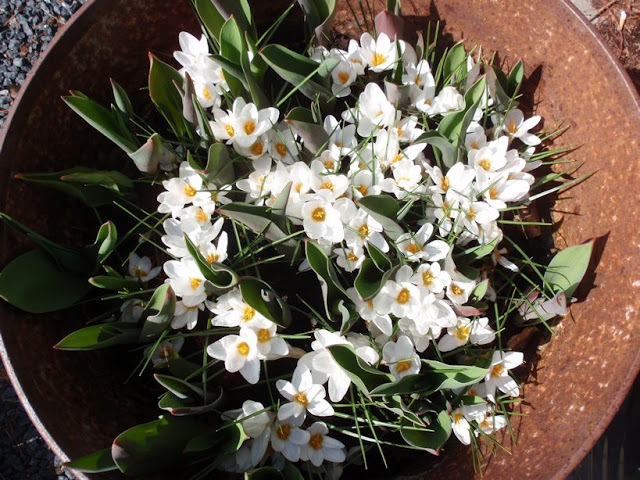 Often known as “Tommy,” this small variety displays star-shaped blooms of silvery bluish-lavender. 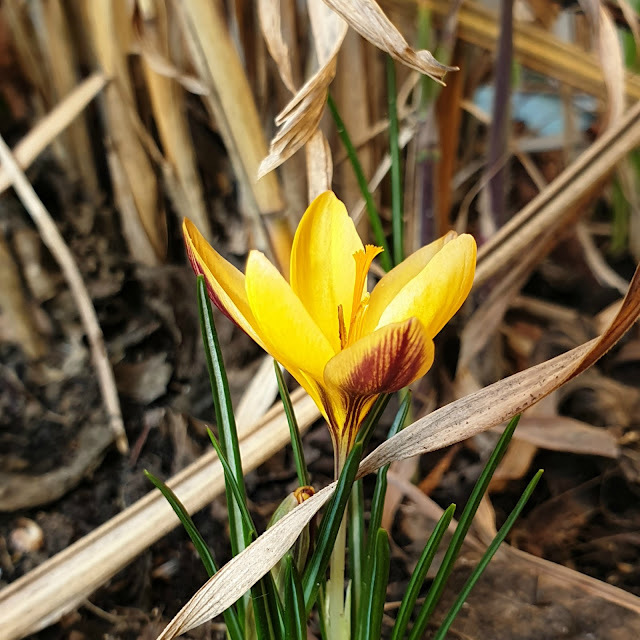 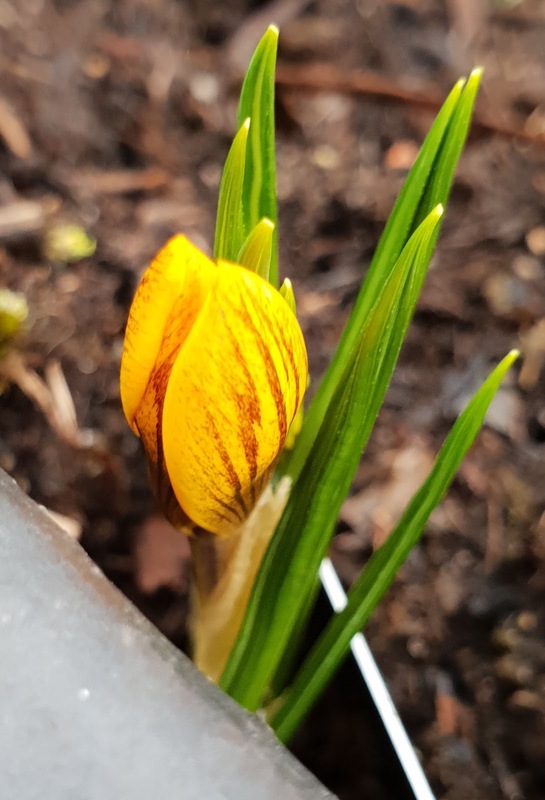 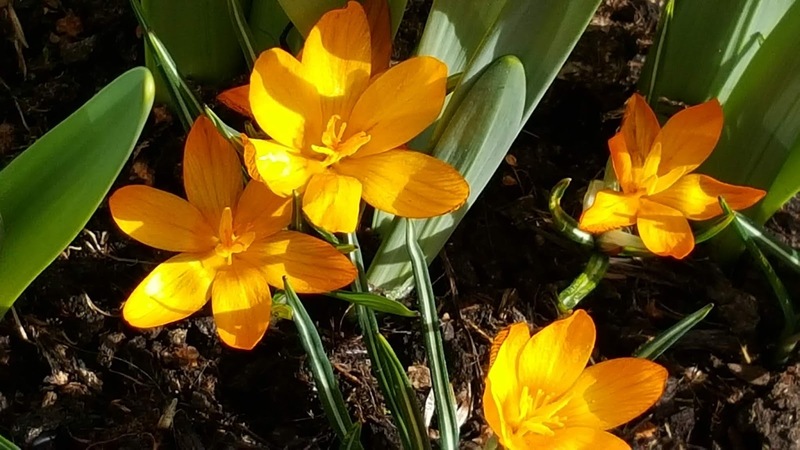 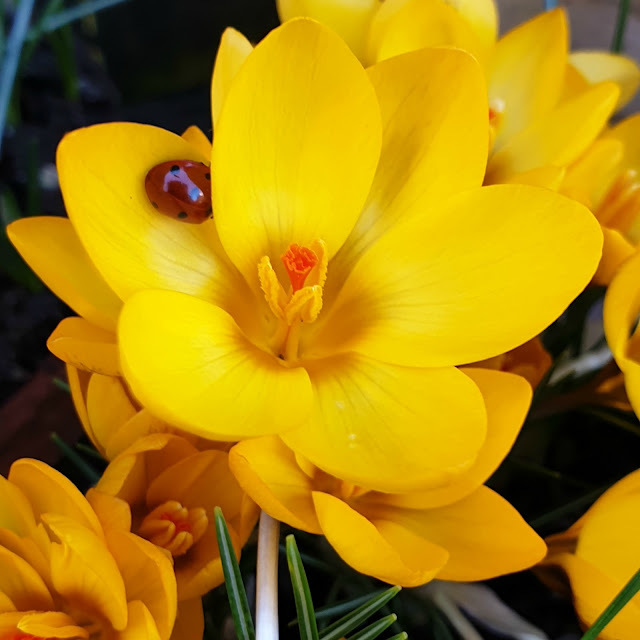 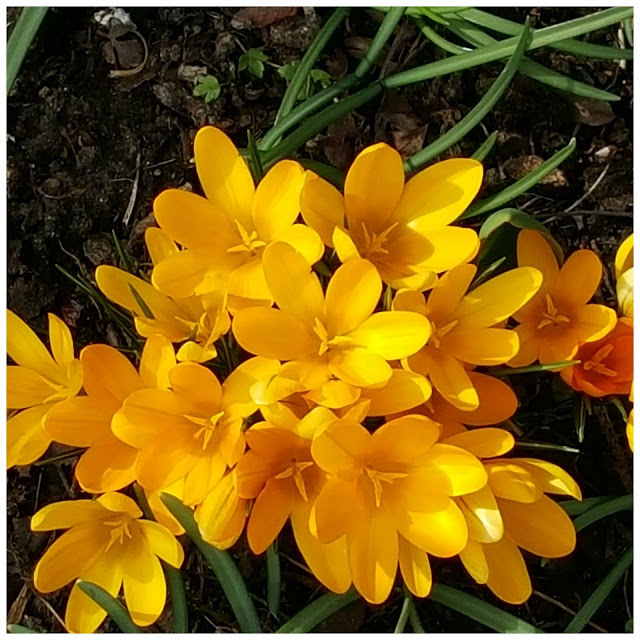 Golden Crocus (C. chrysanthus) is a delightful variety with sweet-scented, orange-yellow blooms. 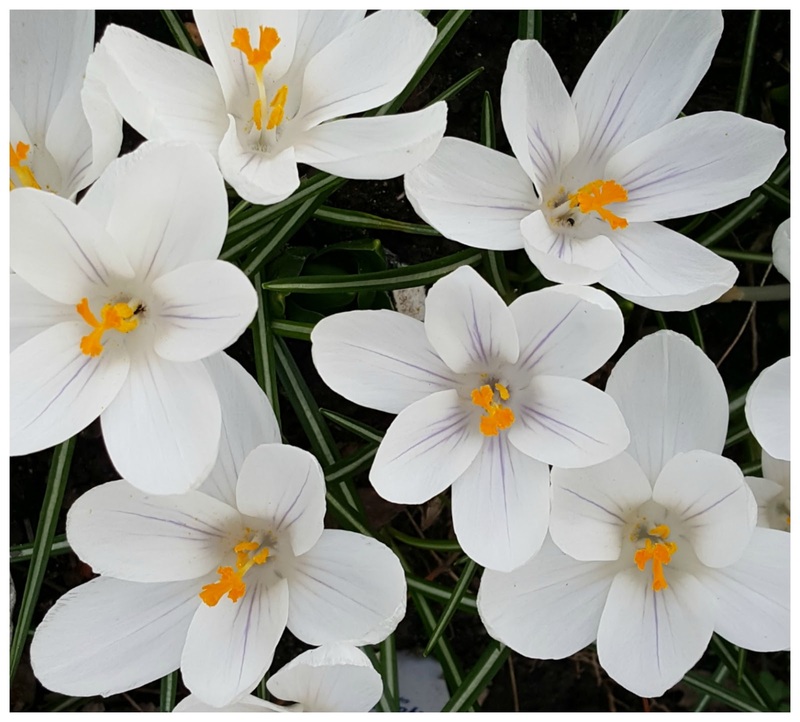 Hybrids are available in many colors, including pure white, pale blue, pale yellow, white with purple edges or blue with yellow centers. Saffron crocus (C. sativus) is a fall bloomer that produces lilac blooms with bright orange-red, saffron-rich stigma. 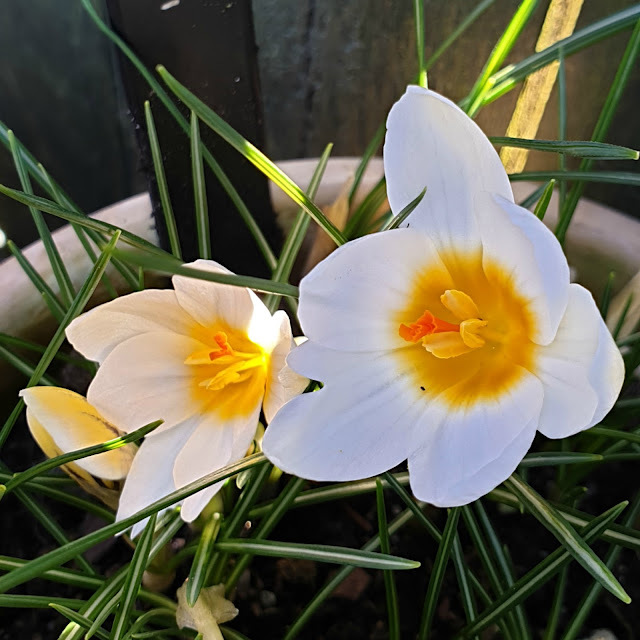 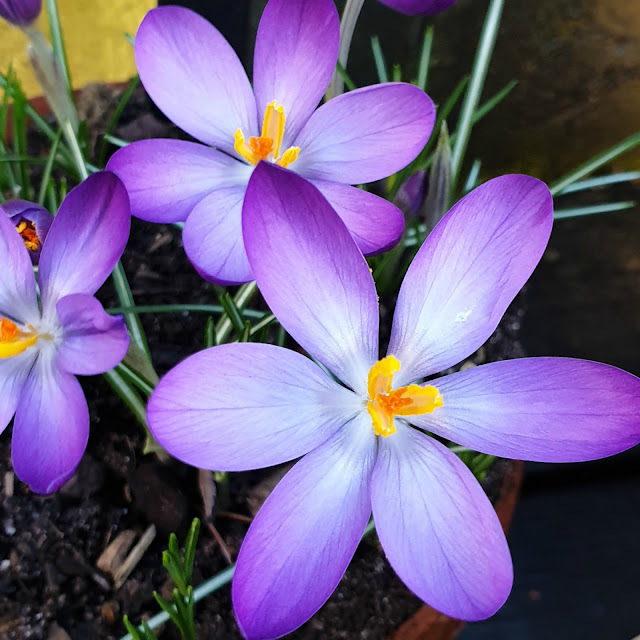 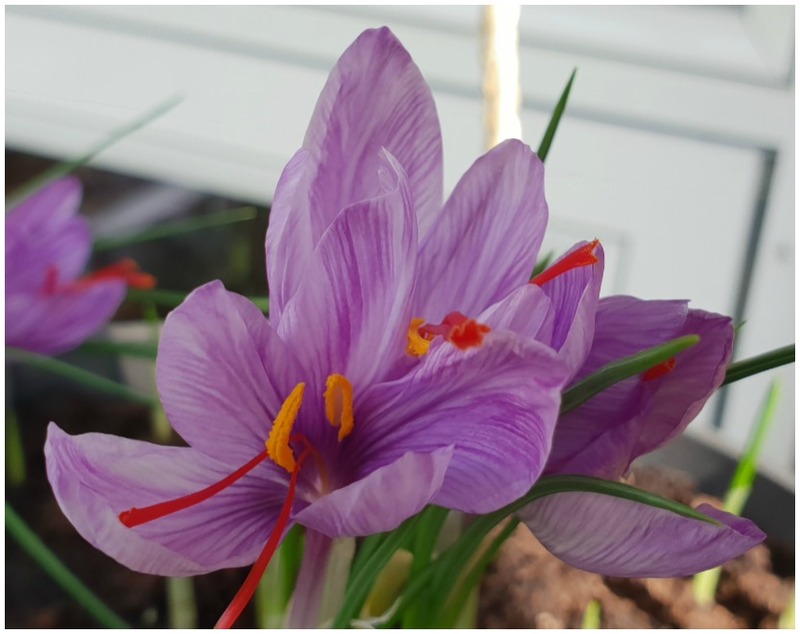 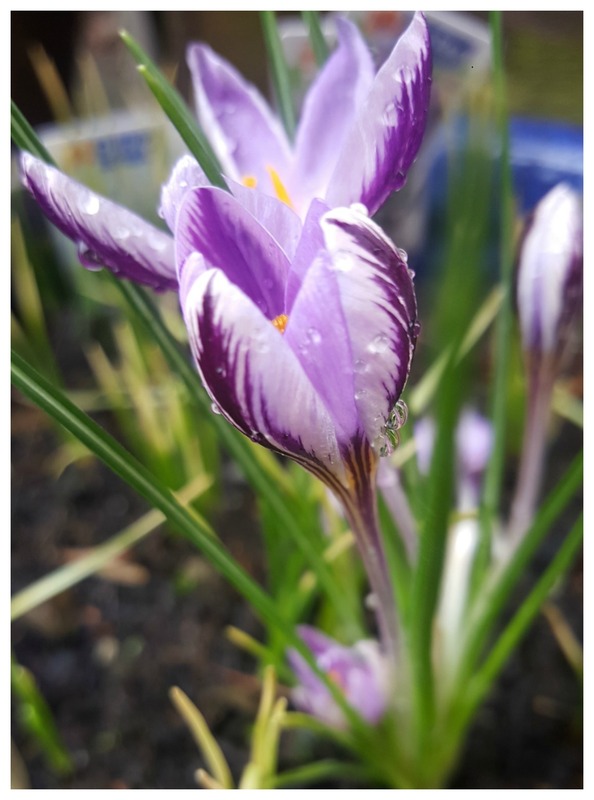 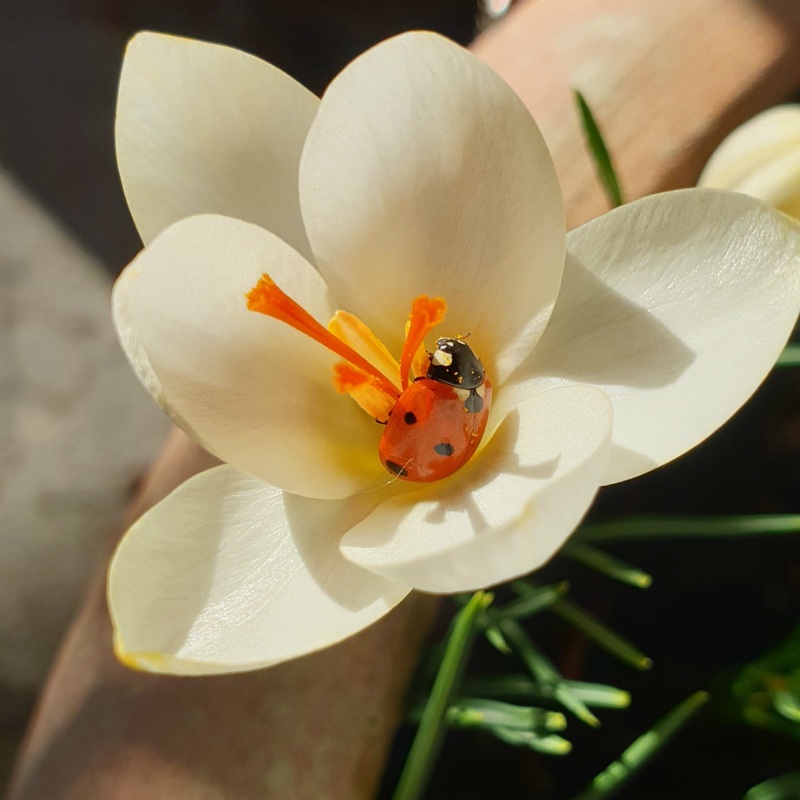 As an added bonus, you can remove the stigma as soon as the blooms open, then dry them for a few days and use the saffron for seasoning paella and other dishes. 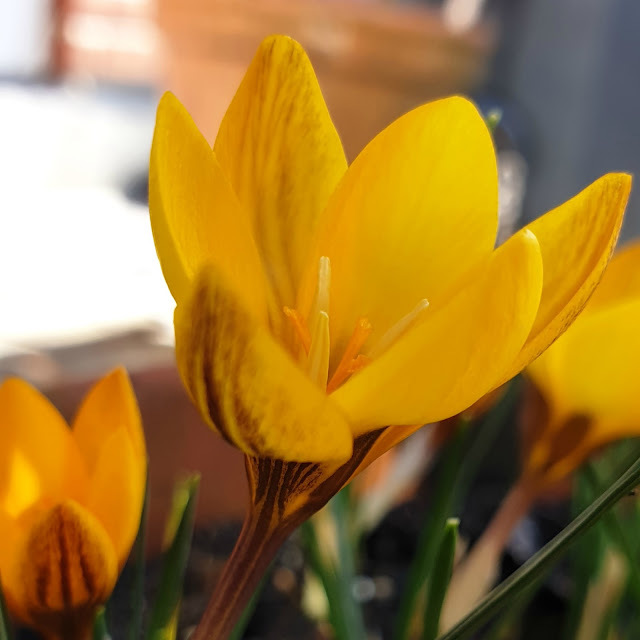 Cloth of Gold (C. angustifolius) is a popular early-winter bloomer that produces star-shaped, orange-gold flowers with a deep brown stripe running down the center of each petal. 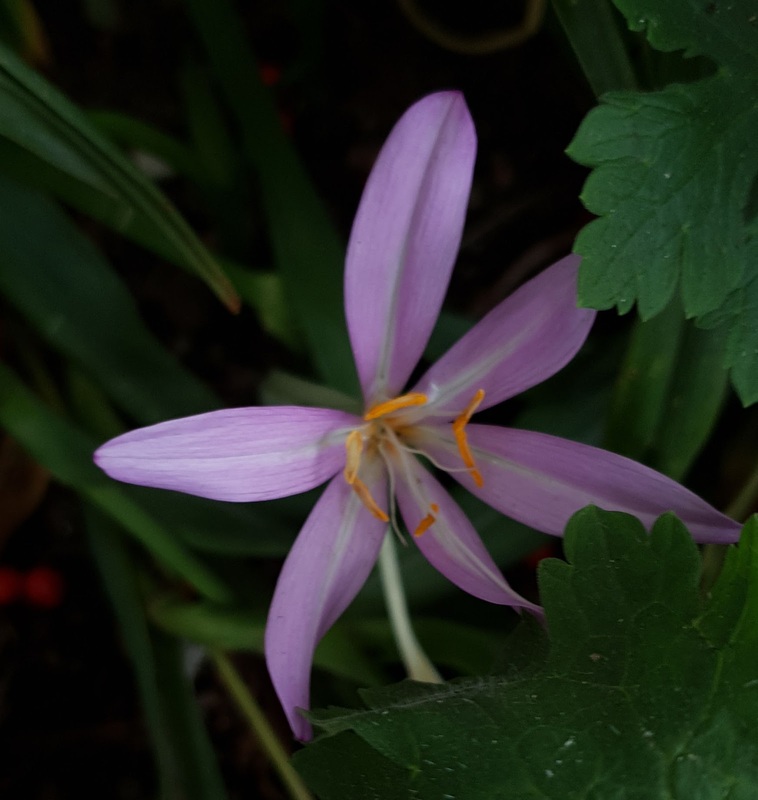 C. pulchellus produces pale lilac blooms, each with a yellow throat and contrasting veins of deep purple. 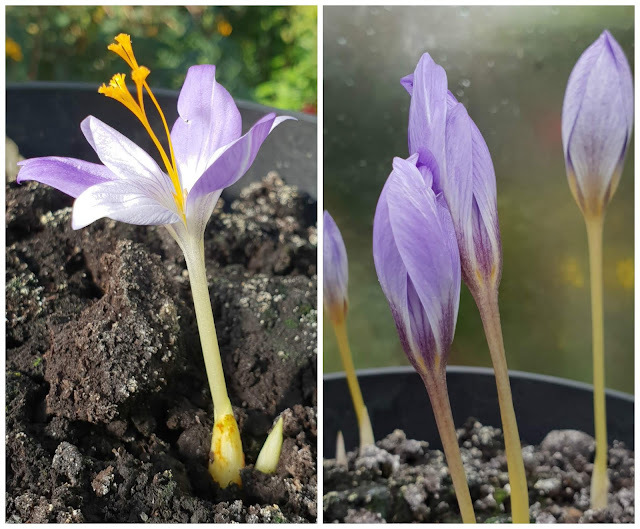 Bieberstein’s crocus (C. speciosus). With its flashy, bluish-violet blooms, this is probably the flashiest autumn-blooming crocus. This species, which increases quickly, is also available in mauve and lavender.